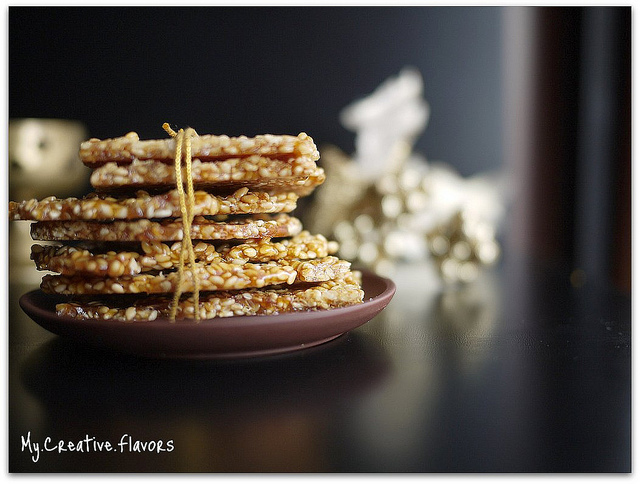 Enjoying my success at Peanut Gajak, I tried my hands at Til-Ki-Gajak/ Sesame Brittle. Last night my mom-in-law called me up and gave tips on spreading the sesame syrup on greased marble chakla. But in excitement of making, I forgot to grease the rolling pin and while spreading, lot of sesame got stuck with the rolling pin. This communication gap became a blessing in disguise when after couple of minutes, I was making Rewris (sesame balls) to use the syrup. Lol...at times selective listening is fruitful ! 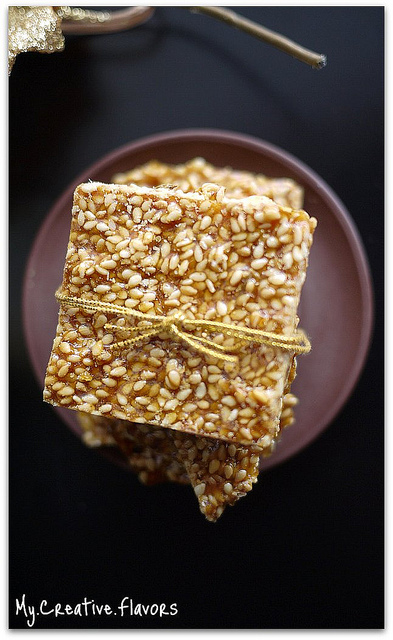 Check out the details for this super easy recipe of brittle. 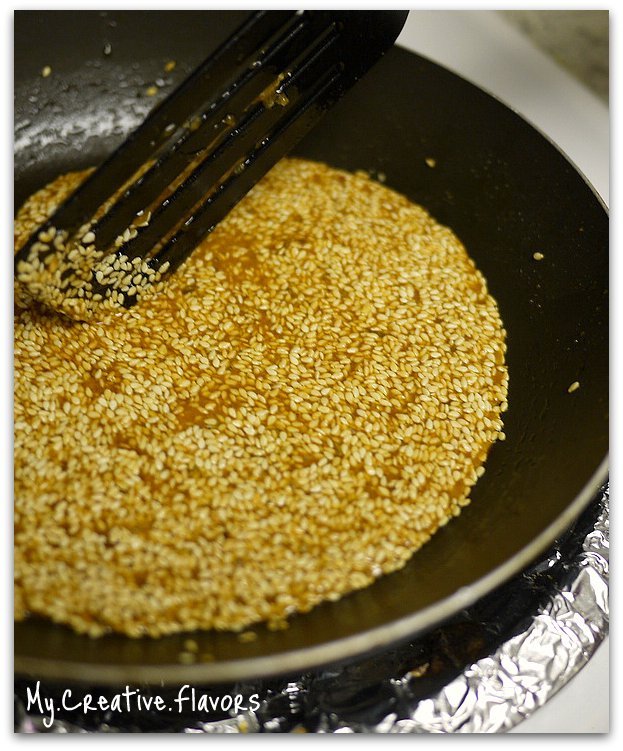 Dry roast the sesame seeds in a nonstick pan. Now add almonds/cashews and roast for another 2 minutes. Prepare a tray by layering it with silver foil, spray oil or grease the marble chakla and rolling pin to set in the chikki. Heat desi ghee in a non stick skillet and add sugar powder. Keep stirring continuously on low heat till the sugar melts and gives hue of light golden brown. Add lightly crushed fennel seeds, cardamom powder, sesame seeds, cashew and almond halves. Give all the ingredients a quick stir and pour the on the foil/marble chakla. 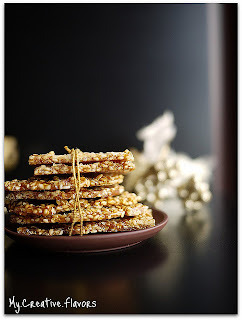 Press the chikki with the back of steel ladder/rolling pin to make a thin layer and spread it evenly. Let the chikkis dry for a while, cut it in desired shape when still warm with pizza cutter or knife. 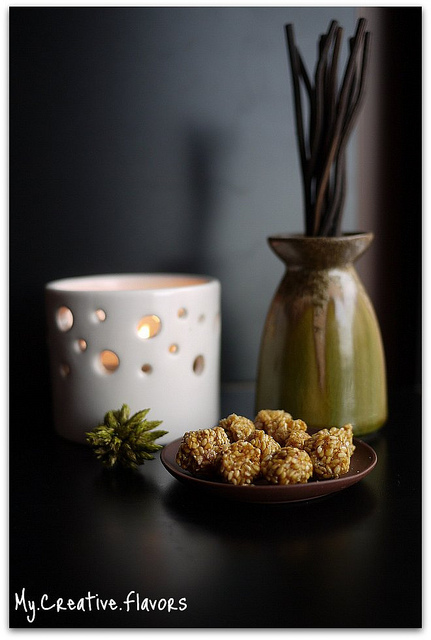 On the other hand, quickly make small balls of the sesame and sugar mix to get delectable rewris or sesame candies. Can also replace jaggery for sugar to make gajak and rewris. My lot was immediatly finished, but if left with gajak and rewris, store in air tight container. Yessss , I did it !!!!!! 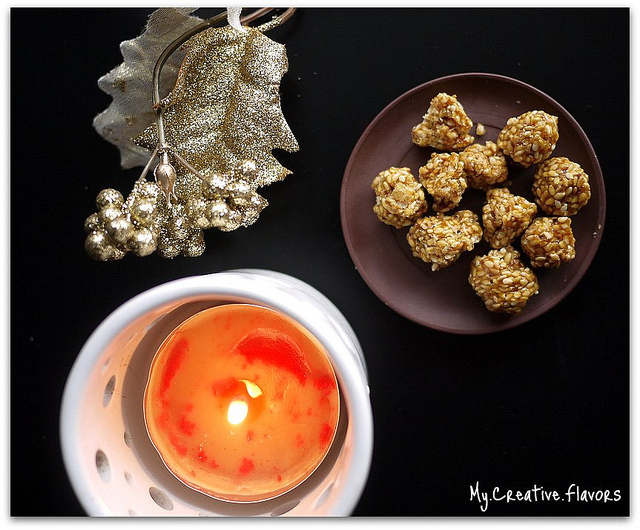 Add another feather in your cap for trying, making and succeeding at making gajak and rewris at home. Let me know if you liked the styling, the Wall & the Stack are inspired by Aapplemint ! 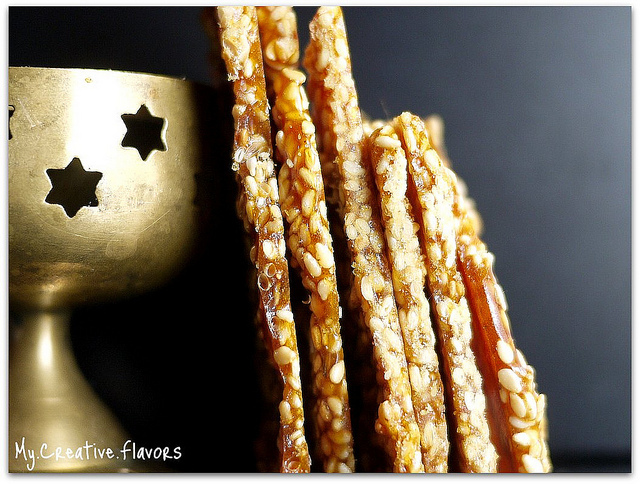 Also find some time to check out my newly edited Peanut Brittle (Gajak) Recipe ! 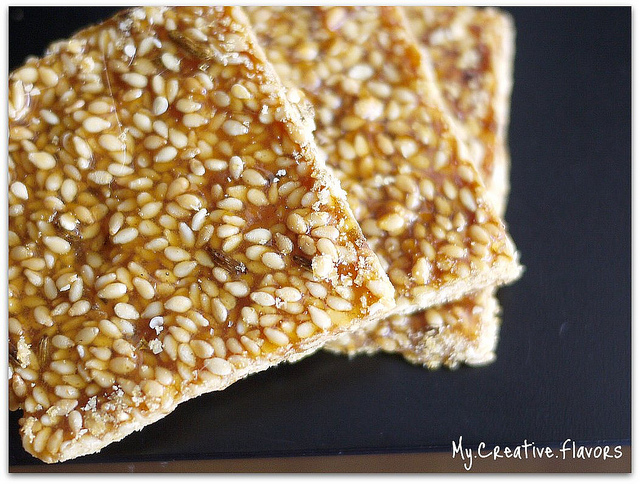 The sesame brittle and balls looks so great! I'm not too good with making candies, but this looks amazing! You sure make it look so easy! I remember eating these all the time! Now I can make my own! Thanks for the recipe! Wah!! !Can’t even imagine that these ’ winter time munchs can be made at home!You have made it possible for all ..chiky lovers.So Great of You. Wow!! these gajak's look amazing... this is my first time here and I am loving your space. Thanks for coming to my blog and the supporting observations. I dedicate my first brittle to you guys !!! how yummy !!! i love those ! !